CHIRLA launches Rapid Response Network and toll-free number. 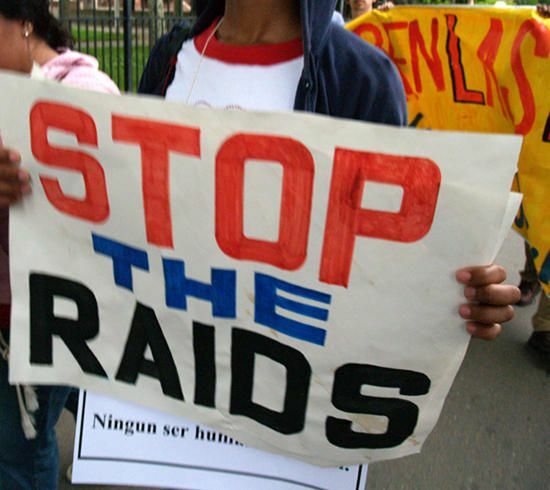 CHIRLA has been alerted by credible sources, including attorneys taking client calls, that ICE sweeps are taking place in at least five locations in Los Angeles (including, Santa Paula, Oxnard, Van Nuys, San Bernardino, and Downey) and that immigrants (as many as 100) have been detained and are being taken taken to the downtown ICE office. CHIRLA is holding a press conference Friday, February 10, 2017 at 9 a.m. and we will offer urgent/emergency Know Your Rights trainings every hour on the hour starting at 10 a.m. at CHIRLA office downtown Los Angeles. Families of those impacted by these sweeps are asked to call 888-624-4752 to help them identify an attorney who can provide assistance. Your calls to ICE will help confirm the extent of the actions in the Southern California area.